A vibrant new staging of the great Russian comedy, The Government Inspector, opens at Birmingham Repertory Theatre in March before touring to Ipswich, Leeds, Nottingham, Stratford East, Liverpool and Sheffield. Directed by Roxana Silbert and adapted by Olivier Award-winning playwright, David Harrower, this fresh, modern version of The Government Inspector, with innovative projection and set design reinvigorates Gogol’s satirical masterpiece for 2016. The news that a government inspector is due to arrive in a small Russian town sends its bureaucrats into a panicked frenzy. The Mayor’s fear is well-founded as he has been somewhat lacking in his official duties: the hospital’s a health hazard, the school’s a war zone, the soldiers don’t have trousers to march in and he never quite got around to finishing his building programme. However, a simple case of mistaken identity leads to matters spiralling out of control, exposing the hypocrisy and corruption at the heart of the town in this biting satire. Surely the only reasonable solution is bribery! The mayor and his wife are played by David Carlyle and Kiruna Stamell with Robin Morrissey playing Khlestakov the incognito out-of-towner mistaken for the government inspector. They are joined by Becky Barry, Richard Clews, Stephen Collins, Rachel Denning, Rebekah Hinds, Daryl Jackson, Michael Keane, Ewan Marshall, Rhona McKenzie, Francesca Mills, Simon Startin, Jean St Clair, Sophie Stone, Aaron Virdee and Amanda Wright. Visionary Russian writer and satirist Nikolai Gogol wrote The Government Inspector in 1836. Valdimir Nabokov described it as the greatest play in the Russian language. Although he died at just 42, Gogol’s literary influence was considerable and paved the way for writers such as Kafka and Dostoevsky. Amongst his other famous works are Dead Souls, Diary of a Madman, The Overcoat and The Nose (later made into an opera by a young Shostakovich). David Harrower’s many plays include the Olivier Award-winning Blackbird (West End, Broadway) and Knives in Hens, which has been performed in more than 20 countries. Set and costume design for The Government Inspector are by Ti Green, lighting design by Chahine Yavroyan, sound and music by Ben and Max Ringham, video design by Timothy Bird and movement by Ayse Tashkiran. Associate Director is Ewan Marshall. The Government Inspector is part of Ramps On The Moon – a ground-breaking project between which signals a change in the UK’s disability arts provision. 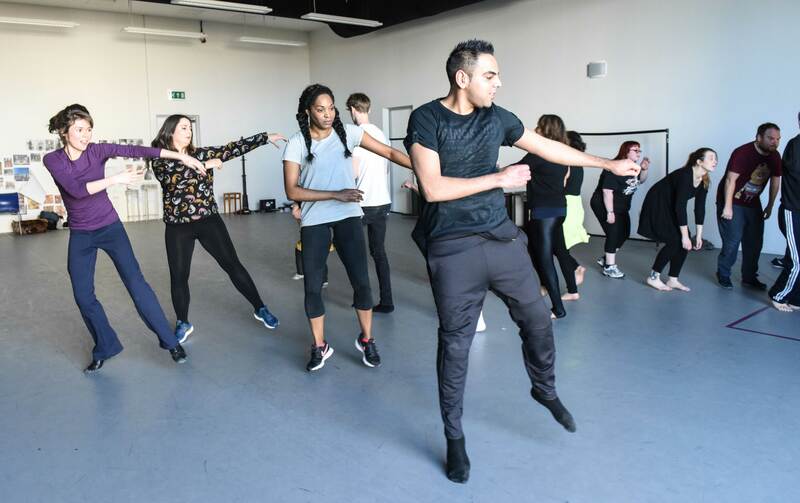 Seven major theatre companies have committed to putting Deaf and disabled artists and audiences at the centre of their work; to accelerate positive change, explore opportunities and stimulate awareness of disability issues within arts and culture. All performances of The Government Inspector are fully accessible including a creative combination of sign language, audio description and captioning.